A 13-year-old girl has died in Hyderabad after completing a two-month holy Jain fast amid allegations she was coerced. Aradhana Samdhariya’s ‘successful’ completion of fast and her death were glorified giving her the status of a ‘bal tapasvini’ and her dead body was paraded in a massive funeral procession in which 600 people participated. A child was allowed to die for the parents to maintain an exalted standing in the community. A 13-year-old girl, Aradhana Samdhariya, died of cardiac arrest on October 4, two days after she broke her fast that lasted for as long as 68 days, during the Jain holy period known as Chaturmas. Aradhana started the fast on July 26 with 68 days during the Jain holy months, with each day representing an alphabet and shloka in a religious text. Whether her parents encouraged her will become clear after police investigation. It is clear, however, that they didn’t object to this extreme fasting by her daughter.Her mother and sister dressed her up every day like a princess, while she recited religious texts. Every day, family members said, a few Jains would visit Aradhana, bless her and say a few encouraging words. During her fast, public events were organised to celebrate her 'baal tapasvini' (one who achieves spiritual purity through suffering at a young age) status. At the conclusion of the fast, Parna, a ceremony held on the successful completion of fasting was organised.On 1 October, Aradhana was dressed up like a goddess and taken on a chariot ride at a Jain community centre. In fact, leading Hindi newspapers had quarter page advertisements, announcing the grand function of completion of 68 days of fasting by 'baal tapasvini Aradhana'. Political leaders, including Telangana sports minister Padma Rao Goud and Zaheerabad MP BB Patil were announced as chief guests. What’s worse, the glorification seemed to continue even after her death.The affluent Samdhariya family held a grand funeral procession called ‘shoba yatra’, attended by hundreds. Members of the Rajasthani Marwari Jain community as well as business friends of the family attended the funeral. Aradhana was cremated with much fanfare. Police sources and family friends told reporters that Aradhana’s father Lakshmichand encouraged his two daughters to participate in such religious activities, earning him pride within his community. Why is it causing outrage? Among the larger Marwari Jain and Kutchi Jain community, there is outrage since the circumstances of her death became known. “In some families, children fast for eight days. I am surprised Aradhana was allowed to fast for 68 days.Not only was she a minor but a human body cannot sustain for so long,” said Narendra Surana, who heads the Rajasthani Jain association. Child rights activist Shanta Sinha said a police case must be registered for culpable homicide and the child rights commission must take action.“A minor is not deemed to have a voluntary will to take decisions that can endanger their life. Religious leaders also need to re-look at what should be allowed and what is not,” she said. The family has been booked for culpable homicide not amounting to murder. When are the holy months of Jainism celebrated? 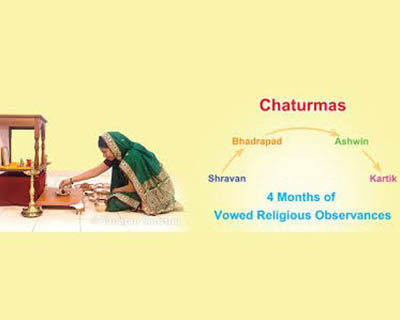 Chaturmas is a holy period of four months from July to October, beginning on Shayani Ekadashi — the eleventh day of the first bright half, Shukla paksha, of Ashadh (fourth month of the Hindu lunar calendar)—until Prabodhini Ekadashi, the eleventh day of the first bright half of Kartik (eighth month of the Hindu lunar calendar) in Hinduism, Buddhism and Jainism. Chaturmas is reserved for penance, austerities, fasting, bathing in holy rivers and religious observances for all. Devotees resolve to observe some form of vow, be it of silence or abstaining from a favourite food item, having only a single meal in a day or fasting for a particular number of days. Jains mostly fast during Paryushana Parv which comes during this period. If one fasts for eight days of Paryushana, it is called Atthai, and if one fasts for 10 days it is called Dhash Lakshan. Followers can even take up a fast that is one month long known as Maskhamana. A 68-day fast was stretching things too far, that too for a minor. Such extreme fasting was bound to have its repercussions on the body, and it did, which finally led to Aradhana’s death. It should be noted that Santhara, a practice in Jainism where one starves oneself to death, is only allowed for the terminally ill and the elderly when they know death is imminent. Where are the reasons for the emphasis on fasting in Jainism? According to Jain philosophy, the body experiences weakness by fasting and hunger but that weakness is not caused by the absence of food but because the unclean stuff is cast off. In Jainsim, a person’s life is a reflection of his karma. The scriptures indicate that either you suffer with sambhav (right behavior) or adopt a way of austerity (to pay for the accumulated bad karma).It must be done before karmas start manifesting. Fasting prevents the effects of bad karma from manifesting in this life (and the next). The other benefits are self-control and a healthier, joyful life. Fasting also purifies body and mind, and reminds the practitioner of Mahavira’s emphasis on renunciation and asceticism, because Mahavira spent a great deal of time fasting. It is not sufficient for a Jain simply to not eat when fasting.They must also stop wanting to eat. If they continue to desire food, the fast is pointless. It is the desire that has to be eventually overcome. 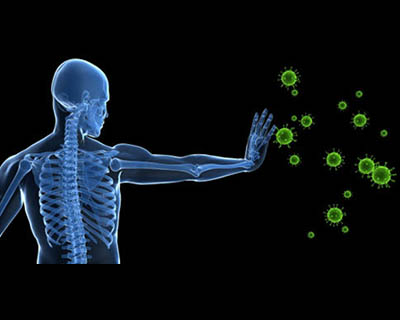 After the body is purified, strength returns to the body. It acquires freshness and agility. And the soul too becomes pure. Fasting is a practice in every religion. 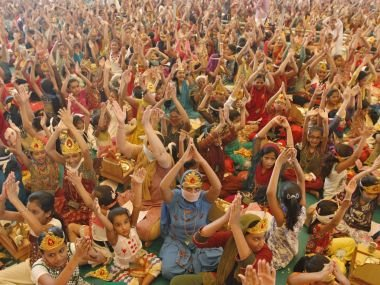 Hindus fast in Navratra for nine days and Muslims fast for four weeks in Ramzan. Christians have the season of lent and Bahai’s fast for a month.Religion describes this as a practice of self-control and many take this as a need for humanity. The goal of food detachment is to control desire and greed in the material world and attain salvation (“Moksha”). Who is to be blamed for Aradhna's death? Aradhana Samdariya was not from an uneducated family. She was a class 8 student at St Francis in Hyderabad, but she stopped going to school after starting upvaas or fasting ritual. Her father and grandfather are in the jewellery business and own a shop in the Pot Bazaar area of Secunderabad. Her two aunts are doctors, one a paediatrician and the other a gynaecologist. 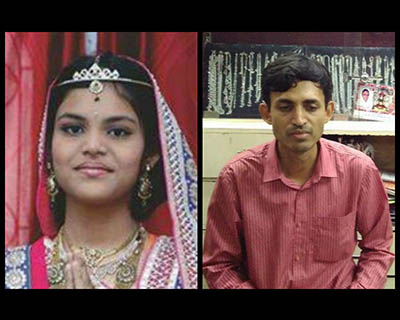 Aradhana's father Lakshmichand Samdariya is now being accused by Balala Hakkula Sangh, a child rights organisation, of allowing his daughter to die in the hope of bettering his business prospects. 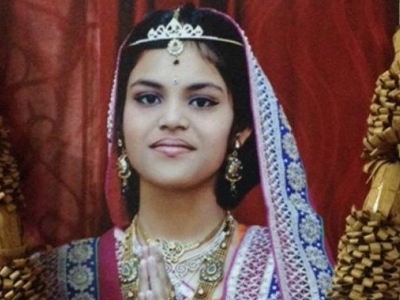 The girl’s parents and other family members have been charged with culpable homicide not amounting to murder over complaints by advocacy groups that she was coerced to fast in accordance with a Jain ritual. They have also been booked under Section 75 of the Juvenile Justice (Care and Protection of Children) Act, 2015, which deals with wilful neglect of a child by a guardian causing unnecessary mental or physical suffering. 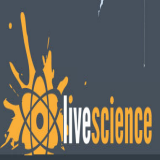 Even if we assume the parents didn’t coerce her into it with a selfish purpose, as has been alleged, it is highly irresponsible of them to have allowed a minor take a decision on something that could endanger her life; and, secondly, to have not taken some precautionary measures such as keeping her under medical observation while she was doing such an extreme form of fast. That could have at least saved her life, even though the damage to the body would still have already taken place due to the rigorous fast. Psychologists point out that subtle coercion by parents can psychologically maim a child. "The messaging is important. When religion is brought into the mix, it also brings in guilt if not conformed to. The child is made to believe it is for the good of the family. What is sacrificed is the health of the minor," says Purnima Nagaraja, a clinical psychiatrist. Child rights activist Shanta Sinha said the police must register a case and the child rights commission must take stern action against those responsible for the girl’s death. ''A minor is not deemed to have a voluntary will to take decisions that can endanger their life. Religious leaders also need to re-look at what should be allowed and what is not," she said. 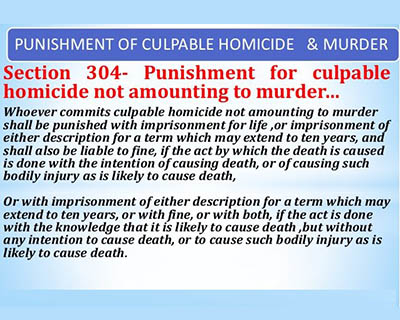 Note: "Culpable homicide" is an offence under Section 299 of the Indian Penal Code (IPC), defined as "Whoever causes death by doing an act with the intention of causing death, or with the intention of causing such bodily injury as is likely to cause death, or with the knowledge that he is likely by such act to cause death, commits the offence of culpable homicide." "Culpable homicide not amounting to murder" is an offence under Section 304 of the Indian Penal Code. It applies to an event where the death is intentional but it comes within the IPC definition of "murder". It is a non-bailable charge. How does extreme fasting kill? While recent research has been highlighting the usefulness of intermittent fasting, long-term fasting could be quite damaging to the body and increases the chances of death. Generally, people who are in good health at the beginning of a fast are usually at little risk of dying from malnutrition for at least six to eight weeks. But people who are ill can die from malnutrition in as little as three weeks. Further, if a person also refuses all fluids, including water, deterioration is very rapid, with death quite possible within seven to 14 days, especially during hotter periods of the year. At the beginning of a fast, hunger pangs usually disappear after two or three days. After the third day of a fast, the body starts to use muscle protein to make glucose, a sugar that's needed for cell metabolism. Levels of important electrolytes, such as potassium, fall to dangerous levels. The body also loses fat and muscle mass. After two weeks, people on a fast may have difficulty standing; they can also suffer from severe dizziness, sluggishness, weakness, loss of coordination, low heart rate and a chilled feeling. Low levels of thiamine (vitamin B1) become a real risk after two or three weeks and can result in severe neurological problems, including cognitive impairment, vision loss and lack of motor skills. After more than a month of fasting, or when more than 18 percent of body weight is lost, severe and permanent medical complications can occur. It can become very difficult to swallow water, hearing and vision loss can occur, breathing can become labored and organ failure can start to set in. Beyond 45 days, death is a very real risk, due to cardiovascular collapse (due to tissue degradation) or severe infection (due to immune system failure). Aside from the physical damage suffered by the ones who fast, psychological changes causing impulsive and aggressive behavior are common. These effects can "enhance the likelihood that the person fasting will starve themselves to death," according to a report from the Journal of Medical Ethics. Even after a fast ends, re-feeding has some real risks, since the metabolic changes that occur during severe fasting can be profound. According to a 2011 report in the journal Gastroenterology Research and Practice, patients must be carefully managed when reintroducing electrolytes and nutrients after several weeks of fasting. Unfortunately, for Aradhana, no such precaution was taken when she broke her fast after 68 days. Only after she passed out 2 days later was she taken to the hospital where they declared her ‘brought dead’. Aradhana’s tragic story is a lesson for every parent to take responsibility of their children, and not use them as a badge of honor, be it religious or otherwise.